1. 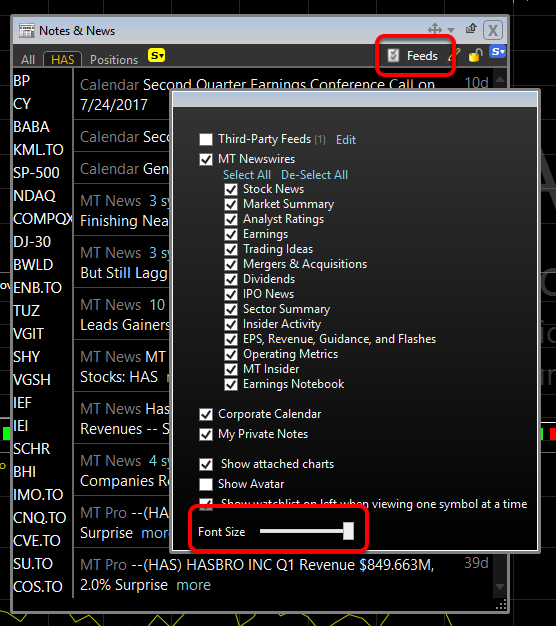 Click on the Feeds button in the top right corner of the Notes & News window and slide the font size bar to the left or right to decrease or increase font size. 2. Left-click outside of the edit box to save changes.